Trimaco offers numerous miscellaneous surface protection products to make your job simple and easy, including covers for cars and vehicles. These car covers protect coatings and finishes from a wide range of dangers including paint. 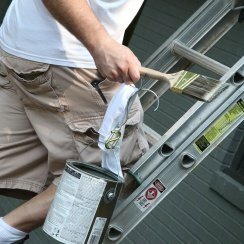 Along with products that assist with lead paint removal, we also offer convenience tools, such as paint buckets, paint bucket covers, and tools for ladders, as well as protective warning tape that will keep outsiders away from fresh surface coatings, like newly painted walls, doors and railings. Provides all the items you need to keep yourself protected from lead paint. Lightweight, full panel cover protects car from paint overspray. Achieve perfect edges while painting without the need for tape. 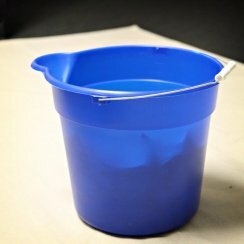 12 quart bucket for your painting and household needs. 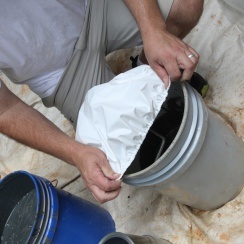 Eliminates the need to cover paint buckets with plastic sheeting and tape. Simply cover your bucket and go. A secure way to hang a 1 gallon paint pail from your ladder, plus more! Easily mark off freshly painted areas to avoid mess and disturbance. 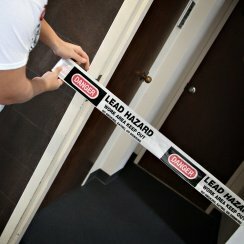 Use to block off and notify of lead hazard zones. 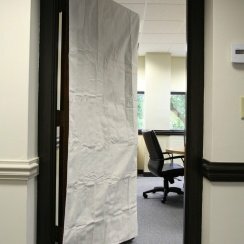 Premium quality canvas door jacket with tie strings, protects doors.